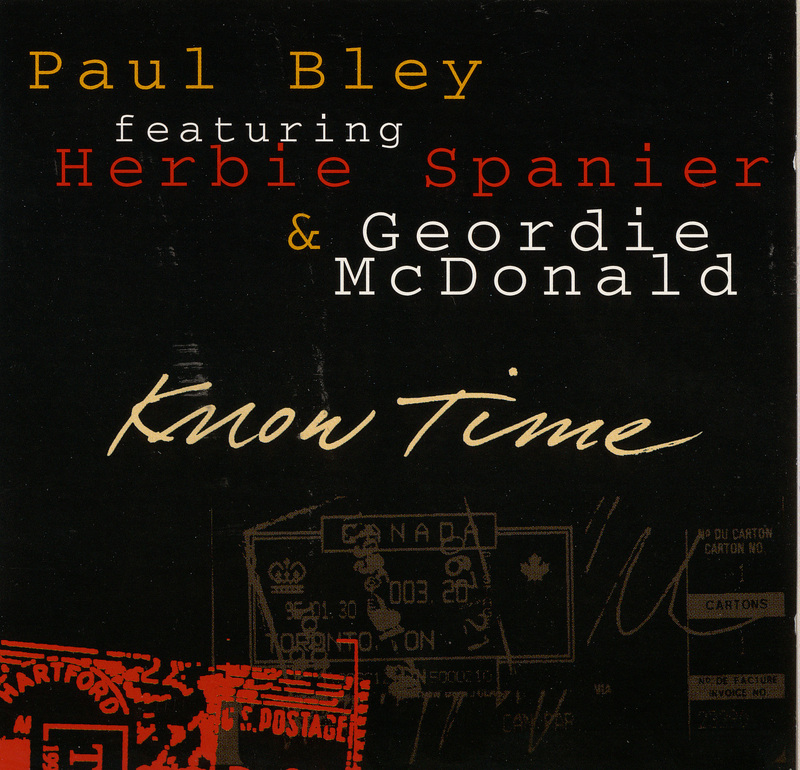 Justin Time Records is proud to announce the release of Paul Bley's About Time, the master pianist's sixth solo recording for the label. With more than half a century of recognition as one of the most innovative and forward thinking individuals in the jazz pantheon, Bley has always maintained that the personality of the player should always be readily apparent to the listener. Whether playing standards within the mainstream built upon more traditional chord changes and time; or creating pieces built upon freer structures where the boundaries are established entirely by the essence of the composition, Paul Bley remains true to that philosophy, sounding like Paul Bley - and no one else. There may seem to be a certain irony in Bley's predilection for performing solo so often at this stage of his remarkable career. Not only has he performed with some of the most adventurous, iconoclastic and original artists in jazz - from early immortals like Ben Webster, Coleman Hawkins and Lester Young to the bebop-and-beyond groundbreakers Charlie Parker, Ornette Coleman (the only pianist to have worked with both Parker and Coleman), Charles Mingus, Sonny Rollins, Jimmy Giuffre and George Russell - but he has also been an instrumental figure in expanding the jazz tradition into uncharted areas. An original member of the notorious Jazz Composers Guild - along with Albert Ayler, Archie Shepp, Roswell Rudd, Carla Bley, Cecil Taylor, Sun Ra, John Tchicai and other musical visionaries - this group of unabashed innovators is widely recognized as the laying of the foundation for the avant-garde movement of the 1960s in jazz. So how does someone so involved in the collaborative process that is so central to the concept of organizational unity needed to both create music in the more synergistically demanding (and poorly-named) avant-garde genre, and affect change in the overall artistic environment, choose to pursue such a personal and solitary course? Essentially, it's really just the logical evolution of the path to self-discovery and creative freedom that were the central themes of those earlier endeavors. About Time shouts that out in no uncertain terms. From the opening statements of the 33+ minute title piece, the words virtuosic, brilliant, introspective, lyrical, adventurous, challenging, intelligent and individual all come quickly to mind. This is not music that can be described in terms of compositions, styles, motifs or rhythmic structures. Rather, it contains all of these elements in a constantly evolving structure in which every idea spawns five new ones. Filigreed lyricism at the upper range of the keyboard may be interrupted by thunderously rhythmic chords at the bottom end, maybe even for the briefest of interludes, simply setting up another cascade of sheer beauty a moment later. A soft whisper in the ear may erupt into a confrontational grabbing by the lapels, but what may seem to be a startling change of direction quickly reveals it to be total continuity in the grand plan of a master improviser. In the blink of an eye, deeply resonant and deliberate single notes at the bottom end of the keyboard launch breathtaking runs of fluid lyricism at the other end. Flights of liberated fancy resolve in thunderously rhythmic chord clusters, then slowly evolve into exquisitely crafted songs of highly emotional, but never syrupy, lyricism. Abruptly, these can erupt into jagged forays of highly challenging and adventurous atonality for a moment before seamlessly weaving back into the most compelling passages of sheer beauty. This music is not restricted by time in a traditional sense, but never loses the sense of rhythm and flow that is essential to all jazz, as stated so succinctly by Duke Ellington: “It Don't Mean a Thing If It Ain't Got That Swing." As would be expected from a piano master of the total jazz tradition, the entire jazz piano vernacular is woven into this performance, but not in an obvious manner by displaying some stride here and then some Powell-ish bebop there, with some Tatum-styled runs along the way. Instead, those elements are woven inextricably into the overall creative pattern, revealing them in a brief moment within the total context of what is essentially as much a composition as if it had been written rather than improvised. Bley's take on Sonny Rollins' “Pent Up House, “ although following a somewhat more traditional approach to jazz improvisation, flows in and out of the historical vernacular of Jazz piano in broader strokes, and is no less exhilarating a ride in the terrain of pure creativity. Using the theme as a home base throughout the 10-minute excursion, Bley constructs intriguing tales of harmonic and melodic narrative on each foray into improvisation before his return to the thematic core. For fans of Paul Bley, of solo piano, or of purely exhilarating inspired improvisational musicality, About Time is a highly rewarding experience.